Excited to be DJing this free party tuesday night at Santos. 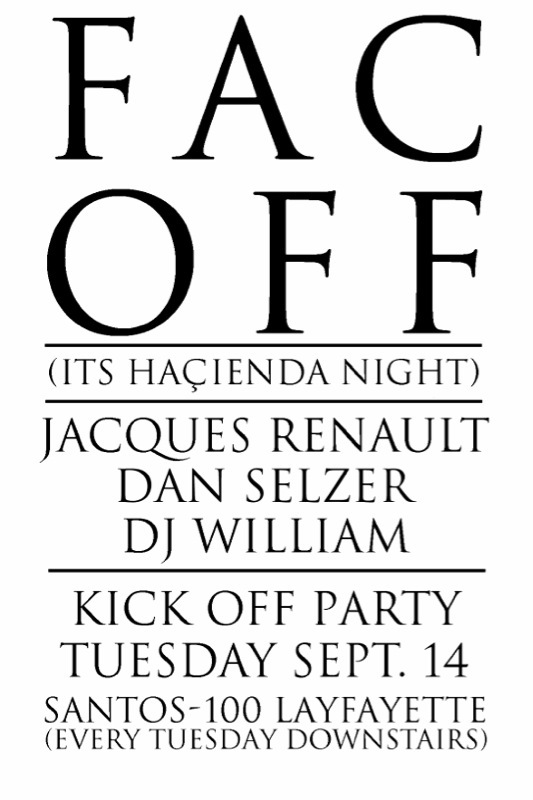 DJ William, who has been hosting the Joy Division/New Order night at Trophy Bar for a few months with Justin Miller is starting a new weekly party called FAC OFF (IT’S HACIENDA NIGHT). Now those who have known me for more then a while know I have a longstanding habit of being involved in Factory/Hacienda tribute parties. There were my first Factory tributes as part of my Transmission party at Plant Bar. There was the Hacienda party at Spa hosted by Record Camp. 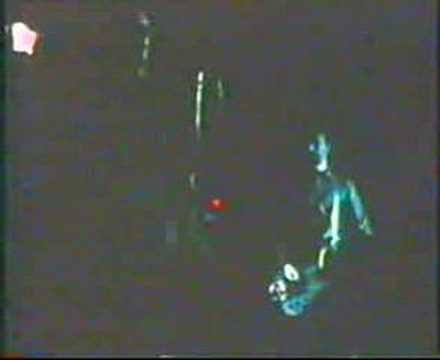 Tony Fletcher’s Step On party in Brooklyn. Aux Armes at Black and White, and so on. What is the appeal to someone too young and too foreign to have ever experienced it? The ideals and fantasies of the Hacienda always hit home. New Order sitting in the Paradise Garage and wondering if their music would ever get played there…then wondering if they could recreate it. The Durutti Column playing to an empty room. Cabaret Voltaire funking it up. It’s the culture clash of british post-punk/new wave and american club music through the 80s. In Mick Middles’ From Joy Division to New Order, the Factory Records story, there’s a list of the top 50 records of the Hacienda of 82 or 83, where Party Fears Two by the Associates sits next to D-Train’s You’re the One For Me. A time when New Order were listening to Donna Summer and Klein + MBO and producing club records like 52nd St’s Can’t Afford To Let You Go. A Certain Ratio and ESG are recording in New Jersey. 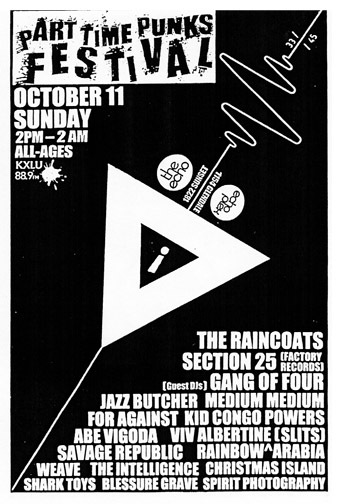 New Order’s working with Robie and Baker and Quando Quango’s getting mixed by Mark Kamins while Section 25’s Looking from a Hilltop becomes a proto-freestyle breakers classic at the Funhouse. New York disco and electro-funk meets italo-disco and british New Wave. Fast-forward a few years and the forward thinking DJs of the Hacienda start importing Chicago House and Detroit Techno records. 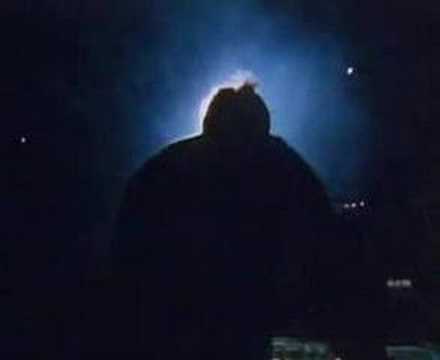 A younger generation of post-post-punks raised on or with New Order arise, The Happy Mondays, 808 State featuring Graham Massey from Biting Tounges, A Guy Called Gerald. T-Coy. House, techno, acid-house, madchester, RAVE. So that’s a lot of buzzwords…but it’s a good shorthand for a large amount of the music I like to DJ and listen to. Post-punk and new wave, disco and electro, house and techno. I’ll be joining DJ William and Jacques Renault, whom I’ve had the honor of DJing with in the past. Tuesday Sept. 14, Santos Party House. 100 Lafayette a block below Canal. Free. 21+. And upstairs at the same time, a very cool party hosted by Spencer Sweeney, folk from Gang Gang Dance and a bunch of their art-world friends. 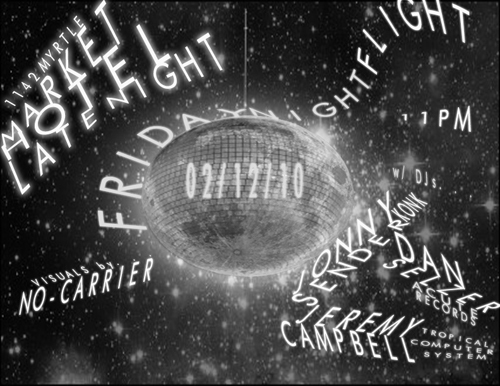 No, not USA Up All Night…DJing friday night at Market Hotel, one of Brooklyn’s finest underground venues. Known primarily as a DIY spot for toddp style shows, recently they’ve been doing more dance parties…from good low-key affairs to packed all-night craziness. 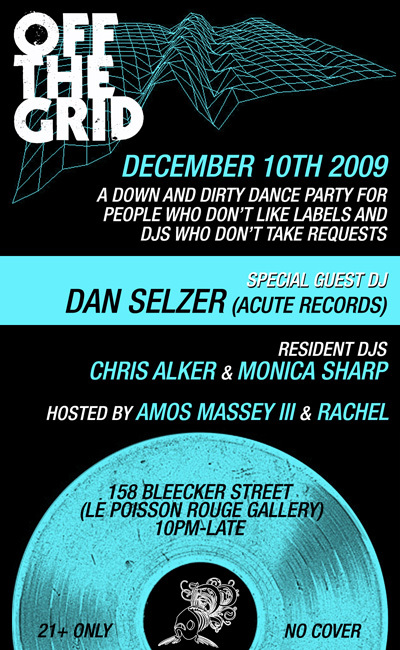 I’ll be joining my old Alldisco/Dazzle Ships partner, Tropical Jeremy and celebrating a return visit from one of our favorite old Alldisco guests, Jonny Sender. Jonny was a member of the classic no wave funk band, Konk in the early/mid 80s. After that he spent many years as a DJ at some of New York’s hottest spots, playing disco, hip-hop, latin etc. He moved to Europe a year or so ago but he’s back in town for a bit so this is a rare chance to hear him. Last I heard him DJ, he played all kinds of classic disco. I’ll play disco, new wave, house, italo etc. Who knows what on earth Jeremy will play. 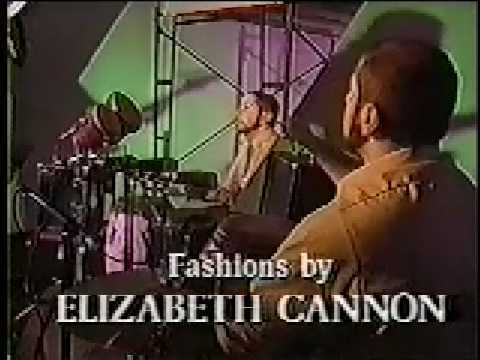 Here’s a crazy short clip of a small version of Konk playing on Andy Warhol’s 15 Minutes TV show on MTV. Two parties, but not like I’m overdoing it, as they are very different parties. Some of you may be interested in one, some in the other. Some may be interested in both! Most will be interested in neither! But pleasing the picky elite is a preferred activity to mass appeal this holiday season. Raging against the dancing wasteland, OFF THE GRID is a once-a-month event which focuses on dance music that you won’t hear on a typical Friday or Saturday night. It will focus on a collage of Mutant Disco, Punk Funk, No Wave, Early Electro, New Romantics and rare B-Sides. It’s a new party, the first one was last month with guest DJ Sal P. from Liquid Liquid. It’s been a while since I’ve dj’d in Manhattan, on a thursday night, is NYU in session? If I was in college and it was thursday night before the holidays, I’d want to go out in the village and listen to some new wave disco. That’s all I’m saying. Some punk funk. Some minimal disco wave. Some post-punk italo. You know, I’ve been writing up party descriptions for a good 10+ years now and I have yet to be bored with mashing together trendy genre descriptions. They’re goofy, but they’re also perfectly accurate. Remember when there was a screening of Whit Stillman’s awesome movie Last Days of Disco and Jeremy and I DJ’d a disco after-party? You can read about it here. It was fun. There was some dancing. There was also some complaining from old people that we weren’t playing disco. Which was weird, because that’s all I brought. And before you go on about how it was because we were playing weird obscure underground disco, you’re wrong. We played Dianna Ross. We played Chic. Fact is, you can please some of the people some of the time, but you mostly can’t please most people most of the time. 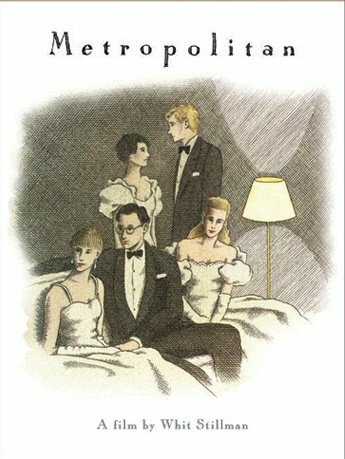 And despite this, I’ve been invited to take part in another Whit Stillman “happening”. This time it’s a screening of his first film, Metropolitan, taking place Saturday, December 12th at the 92Y in Tribecca. (An uptown venue comes downtown to present a portait of uptown?). The movie is a polarizing one, filled with lots of talking, lots of wit. A lot of people hate it. I love it. That’s about as ringing an endorsement as a movie can get in my book. The screening will be followed by a chat with Stillman and maybe some key cast-members, followed by a holiday mixer party with music by Chris Wells and myself. Listen as I shred my hip punk-disco persona and explore the classic oldies geek inside. I spent the better part of college listening to Magic Oldies radio in Cleveland and CBS oldies in NY, from before they included the “80s” in their definition of “oldie”, and this past summer while DJing weddings I discovered a newfound love of classic soul and motown, not to mention a nascent interest in northern oldies classics. Chris, host Miriam and myself will be playing a fun mix of holiday music, both festive and melancholic, and lots of Tommy Roe. And some video clips to get you in the mood(s). One of the great benefits of myspace.com, other then the free Macy’s gift card and the photos I can’t believe she would post them online, is the random friend requests from bands. I know you got 10 yesterday and they all sucked. Well I run a record label, which means I got 100 yesterday and they all sucked. Believe it or not, this particular post-punk reissue label is not interested in your heavy-metal emo trip-hop band from Moscow. But I try to take the time to check out the bands because for every clueless act that wants to get signed, there’s actually bands who are familiar with the music Acute has released, maybe they’re even fans. One day I received three friend requests from bands/acts in Beijing, China. A bit of research led me to realize the common thread was an artist named Shou Wang, who seems to be a central figure in what is being called the “No Beijing” scene. The three pages were for himself, a project called White and the Car-sick Cars. The range of influences listed on the White page and his own page are wide-ranging and faultlessly hip, not to mention very much in line with my own. Einsturzende Neubauten, TG, Glenn Branca, Steve Reich, La Monte Young, etc. The music on those two pages are an eclectic selection of noise and minimalist inspired pieces. I was more excited, however, by Car-sick Cars, his rock band. This particular list of influences pretty much sums up a large selection of my record collection. Branca, The Clean, The Fall, Joy Division, Neu!, Sonic Youth, Suicide, Swell Maps, Theoretical Girls etc. The music they make is noisy indie-rock with the minimal, chiming riffing of the early 80s post-punk and NZ bands and big accessible hooks like Daydream-era Sonic Youth. 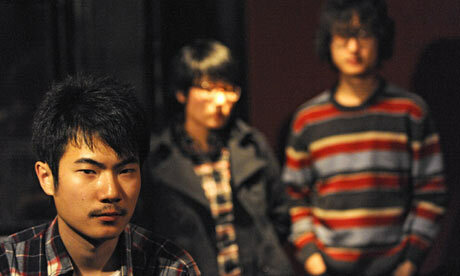 According to his myspace page, Shou Wang has played with Glenn Branca, Elliot Sharp, Neubauten and Car-sick Cars even appropriately opened for Sonic Youth. Hopefully they’ll get a full-length out soon, maybe they’ll even come play in NY. Check out all their songs on the myspace page, they’re great. Now they are finally playing in New York City, along with another Chinese band, P.K.14, who I first heard rep’d by Mike Watt online. They are playing three shows in NYC, Thursday in dumbo at Powerhouse Arena to celebrate the release of a book, Sound Kapital, about Bejing’s music underground, Friday night at Glasslands with the awesome Soft Circle and These are Powers, and Saturday night at Santos Party House “with special guests”. The Glasslands “vibe” is probably preferred, and Glasslands supposedly has a new sound-system, however Santos also has Dinowalrus and the Fixed 5 yr party w/ Basement Jaxx, though those may be 2 other parties that you’d have to pay separately for. These shows are presented by Maybe Mars in collaboration with the Arts Initiative at Columbia University. Around this time last year, I went to LA for the first ever Part Time Punks festival. I hung out with A Certain Ratio, I met the Propeller Records guys, I bought a Urinals t-shirt, I ate a taco the size of my head and I bickered with my friend Adesh like an old married couple. It was a great time and you can read all about it here. Now I’m coming back for a whirlwind visit, I probably won’t even go to Amoeba this time, but I will be DJing more. First, on Saturday, October 10th, I will be joining jasefromouterspace and Kazzique at their party The Chase. 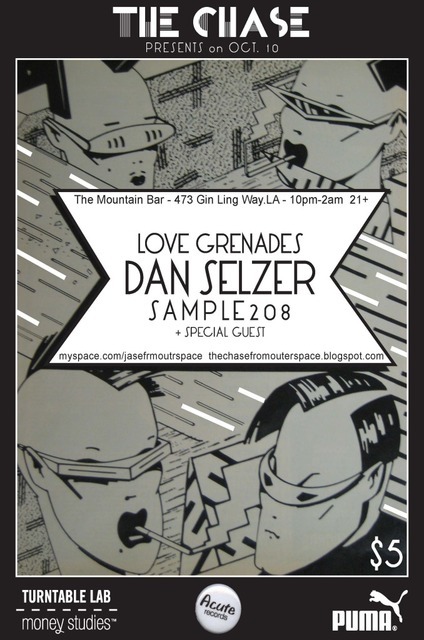 There will also be some live music from Love Grenades and Sample 208. There will also be special guests! And also me! I will be bringing a random bunch of vinyl records. Disco, italo-disco, post-punk disco, Loft disco, hip-house disco, crisco disco, etc disco, etc. As you can see in the flyer above, the party takes place saturday at the Mountain Bar, 473 Gin Ling Way, LA, from 10pm till 2am. 21+ and $5 to enter. and tickets are already available online. So please come out, I heard Mr. Mojo is rising. Remember some time ago when the Film Society of Lincoln Center at the Walter Reade theater, as part of their Film Comment Selects series, showed a movie and I was invited to DJ the after party? Well, they/we are doing it again. This time Film Comment Selects presents The Last Days of Disco, from 1998, the third part of a trilogy of sorts by Whit Stilman, following the awesome Metropolitan and Barcelona, which I’ve never seen. The movie takes place in the early 80s and follows a group of friends as they talk about careers and relationships and other things that people in their 20s and 30s talk about. Personally, I especially identified with the character who spends most of his time talking about the utopian wonder that is disco, without ever having taken part in it. Anyway, I haven’t seen the movie in ages. It’s fun. Chris Eigeman is in it, and he’s awesome. And even though it takes place in the early 80s, we can relate to it in a late 90s/early 00s vibe because it also stars Chloe Sevigny and Tara Subkoff. And afterwords, Viva Radio is sponsoring the after-party, featuring free drinks and disco DJing from your old Alldisco faves, Tropical Jeremy Campbell and myself, Dan Selzer. We’re gonna play some disco classics, some early 80s boogie, some fun stuff, some crazy stuff, some gay stuff, some macho stuff, you name it. If all that doesn’t sell you on it, check out the radio bumper…another bang-up job from Tedward! DIRECTOR WHIT STILLMAN IN PERSON! All ticket buyers are eligible to win a FREE DVD copy of the movie, courtesy of Criterion, during a drawing at the screening! Screening followed by a Late Disco Dance Party with DJs Jeremy Campbell (Tropical Computer System) & Dan Selzer (Acute Records), sponsored by Viva Radio with refreshments by Stella Artois. The very early â€™80s. Bourgie bourgie roommates Alice (Chloe Sevigny) and Charlotte (Kate Beckinsale) are on the prowl, while wondering what it takes to become associate editors. Nightclub flunky Des (Chris Eiegeman) realizes heâ€™s gay while watching Wild Kingdom. And ad-man Jimmy (Mackenzie Astin) desperately tries to get his underdressed clients into the exclusive downtown club. 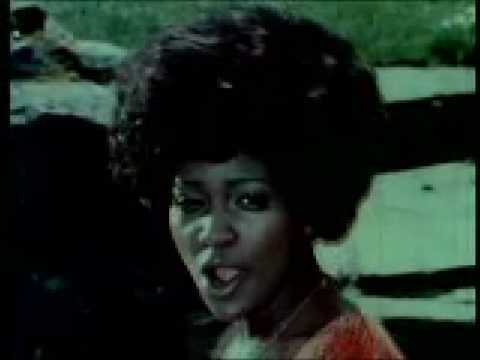 This ode to the waning days of bacchanalian nightlife in the Big Apple is the third in Stillmanâ€™s self-proclaimed â€œDoomed-Bourgeois-in-Loveâ€ trilogy and his most electrifying, with a pulsating soundtrack to boot: Diana Ross, Chic, Sister Sledge, The Chi-Lites, Evelyn â€œChampagneâ€ King, The Oâ€™Jays, Andrea True Connection, Carol Douglas. Purchase tickets here. Facebook event page here. 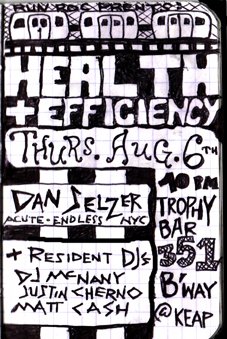 I will be playing records thursday night at the hip Trophy Bar with DJ Mcnany of Run-Roc, Justin Cherno and Matt Cash of the DFA. House, techno, disco, italo, new wave, no wave, post-punk, more house, hip-house, acid house, greenhouse, abc carpet and house, etc. This Heat? Maybe when it’s really late and nobody’s there. Thursday August 6th at 10pm. Trophy Bar is 351 Broadway at Keap in Williamsburg, Brooklyn, New York City, New York, USA. Jools Holland and Leslie Ash visit Danceteria, the Roxy and the Paradise Garage and hang out with Mark Kamins, Arthur Baker, Ruth Polsky, the Peech Boys and others. Watch to the very end for a snippet of Quando Quango. Mint Condition fuses rare extracts of disco, electro, rap and funk into an intoxicating, moisturizing concoction that will leave skin silky smooth and deliciously dark. Apply generously and regularly to all areas. Reapply at frequent intervals. This time we’re doing Mint Condition at the intimate and groovy Label Lounge, in the L.E.S. on Rivington near Clinton St. We are also proud to present Tropical Jeremy and Dan Selzer, making their first Mint Condition appearances. Devin Deveaux retired from his successful Miami-based transportation business to pursue his true passion: disco. The electropical musical narratives he constructs are inspired by the colorful characters he encountered on his adventures on and above the high seas. Check his releases on Black Vinyl Records, Elan Records and Formaldehyd Records, available at itunes and beatport. Selector HoneyKnuckles is the distinguished mind behind such world changing inventions as the lamborghini, G-string bikini, Aqua Velva, and the morning after pill. Having grown bored with science he now dedicates his time to mixing records and perfecting his macaroni and cheese recipe. Tropical Jeremy brought Beppe Loda (Afro Cosmic legend) from Italy to play at PS1 and do a mini US tour in 2007. He founded the Alldisco and Beat Club parties at Subtonic and Capones. Dazzle Ships for 3 years. These days he’s focused more on production and quality over quantity DJ gigs. In the past year or so he’s played at MOMA, Sculpture Center, Guggenheim, Museum of Art and Design, etc. Dan has been dj’ing disco, house, techno, italo, new wave, post-punk, hi-nrg and AM gold records in NY for over a decade, from the chic crowded indifferent clubs of Manhattan to the underground jaded lofts of Brooklyn, he’s done it all. While he’s known by a few for his post-punk reissue label Acute Records, he will be remembered mostly for the Crazy Rhythms mix CD recorded with Mike from Italians Do It Better a few years back. Dan was the resident DJ of the influential Transmission party at Plant Bar and co-resident of the influential Alldisco party at Capones and the not-influential Dazzle Ships party at Heathers with the influential Tropical Jeremy. 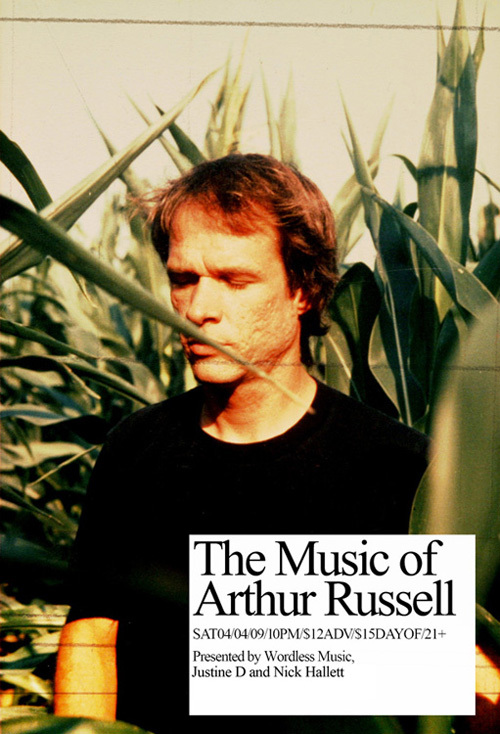 I know it seems like every time there’s an Arthur Russell related event in town I somehow get myself involved. Maybe it’s because I can’t even put into words how much I love his music? It’s really that simple. This time is going to be special. A bunch of Arthur’s old friends and collaborators have formed a band called Arthur’s Landing to play his music. Peter Gordon described it: “It’s a large, lively band, playing his disco music, songs and instrumental compositions seamlessly.” They will be joined by Nomi of Hercules & Love Affair, Nick Hallett, Alex Waterman and Rafael Sanchez. On the DJ front, I will be playing a mixed set of Arthur related disco not disco and downtown art musics before and between the live bands, while neo-disco superstars Lee Douglas and Just Vandervolgen will be DJing well into the evening. 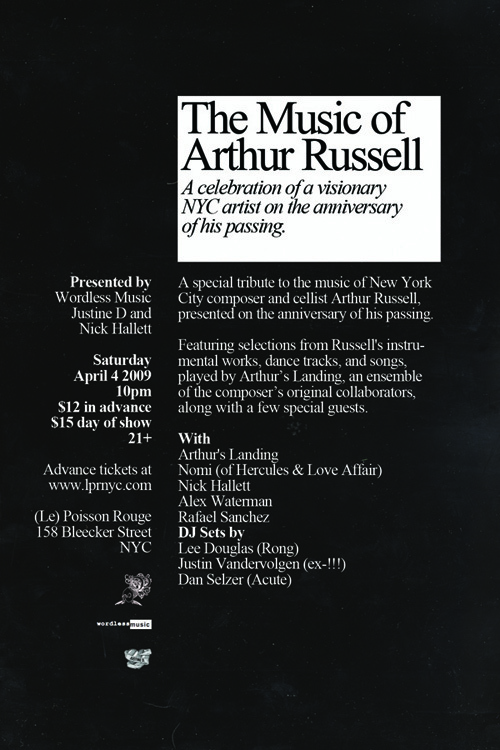 This takes place Saturday, April 4th at Le Poisson Rouge, 158 Bleecker St, NYC. Doors at 10, 12$ adv., 15$ day of. More information can be found on the Facebook event page. Coming soon…another Lines update. Maybe this blog should be called “the Arthur Russell DJ event and Lines update blog.com?” While I have your attention, I did my first Viva radio show in a thousand years, now that they’ve finally fixed things. I actually did it weeks ago when I had a free minute, but didn’t get to upload it till now. It’s called “Chain or Reaction” and features some classic New Zealand stuff, a bit of the Chills but mostly of the Peter Jefferies/Xpressway axis. It’s all good. Coming later…another Acute CD, some Acute vinyl, some more DJ gigs and other ways to be cool.